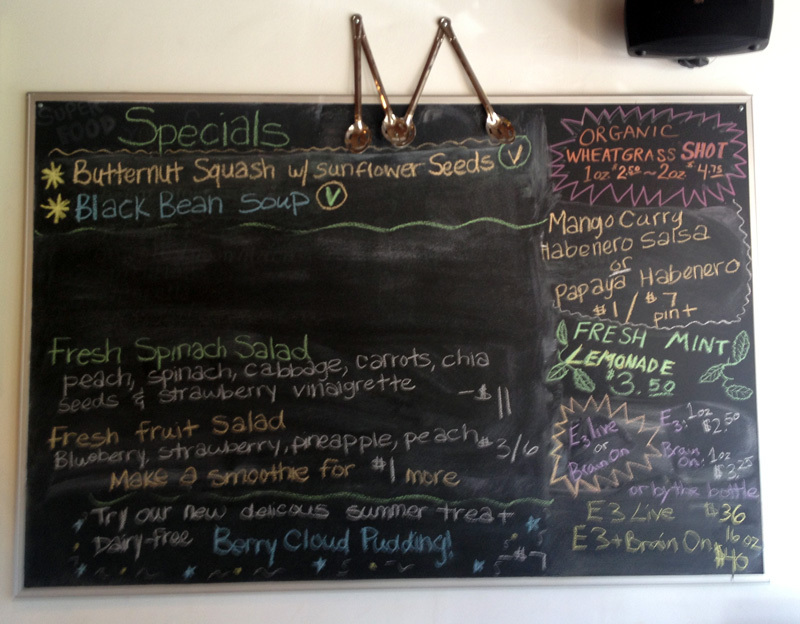 One of my all-time favorite places to eat lately is Myapapaya Juicery + Kitchen. 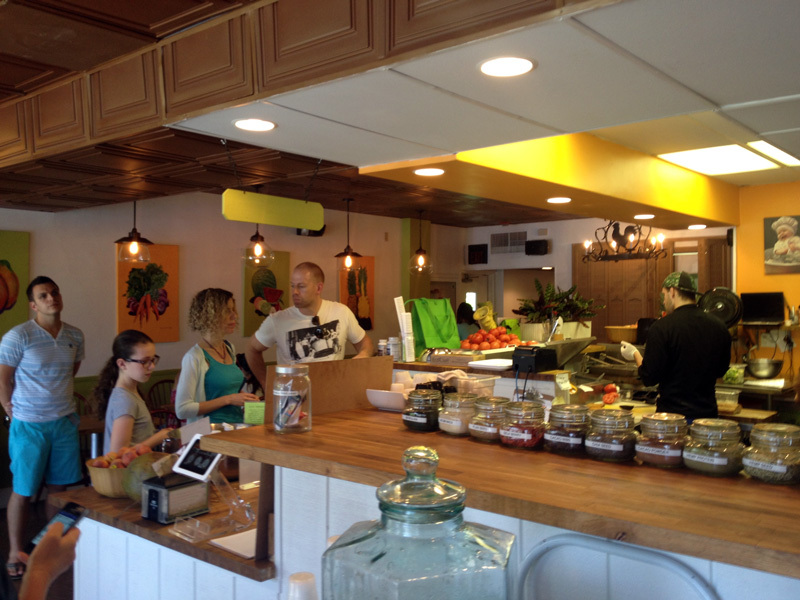 An adorable hole-in-the-wall little place, Mya offers local and organic food, smoothies and cold-pressed juices that are in a word, amazing. It’s one of those places where you get that homey vibe while eating fresh butternut squash salads, baked felafel, or avocado toast. And their Peruvian Pink cold-pressed juice with beet, ginger, and carrot is incredible. One of the best part of Mya are the smoothies, and micro-nutrients added. I love that all the ingredients are local and natural. And they even make their own almond and coconut milks to put in the smoothies. 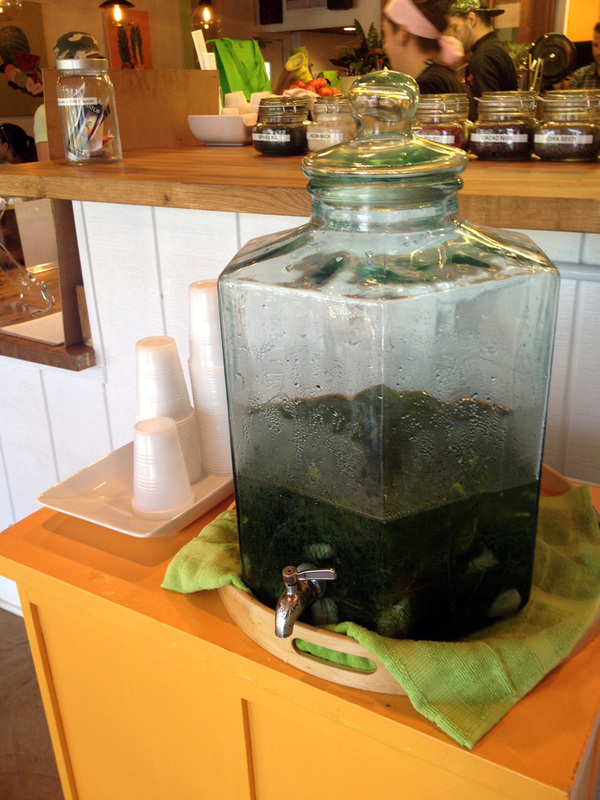 They always have a giant glass pitcher with fennel and cucumber, making the water extremely refreshing. 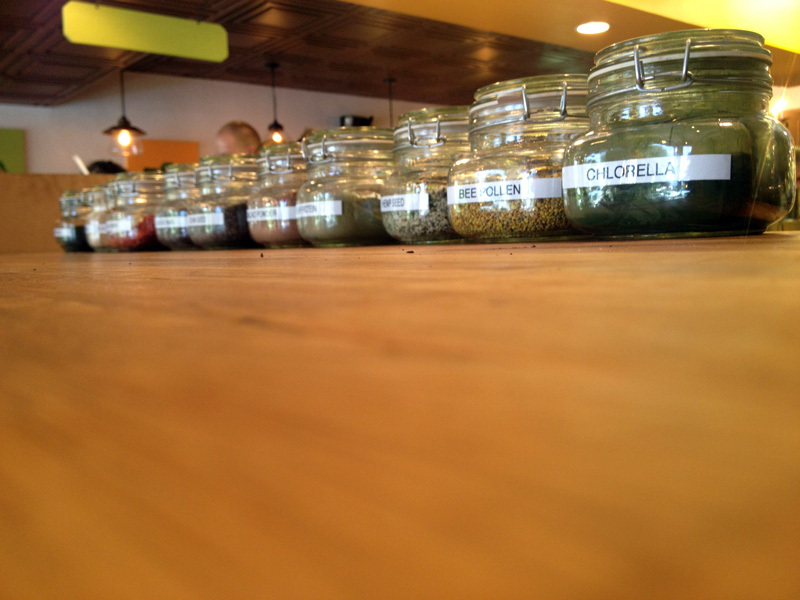 The fresh herbs are calming and just flavored enough to keep you wanting more. That’s me and my family at the counter. My daughter found this article googling photos of smoothies. It’s our favorite place for lunch on Saturday. What a small world! So glad you guys enjoy it, it’s one of my favorites too. It’s hard to go wrong with anything on the menu!